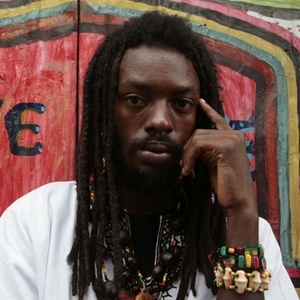 I Wayne (born Cliffroy Taylor in 1980 in Portmore, Jamaica), is a roots reggae singer. He is known for his hits Living In Love and Can't Satisfy Her from his debut album Lava Ground as well as the title track from his second album, Book Of Life. I Wayne was raised by his aunt and her husband Ansell Collins, a renowned keyboard player. This young artist has been refining his craft since age seven. I Wayne was raised by his aunt and her husband Ansell Collins, a renowned keyboard player. This young artist has been refining his craft since age seven. Coming from a musical family, I Wayne had first made his venture into performance as a student at Greater Portmore High School, joining a local group Vibes Machine. The group, consisting of singers and DJs, used to perform at afterwork parties at popular clubs like Cactus and Asylum. One night, the artiste was forced to perform alone due to the fact that his bandmates were running extremely late. The response was tremendous, and I Wayne was motivated to perfect his solo act. In the Summer of 2004, Wayne released Can't Satisfy Her, in the new wave of reggae. The track was reportedly the first roots reggae song to be added to the playlist of Hot 97, the influential hip-hop radio station in New York City. In November of 2004, I Wayne signed a record deal with VP Records to release his debut album, Lava Ground. Lava Ground was praised for returning to reggae's "essential roots" in contrast to popular reggae artists who induce listeners to "dance and groove to their carefree music". I Wayne's first week sales from his sophmore album Book Of Life (Nov. 6, 2007) walked him straight to the top of the Billboard charts at the #4 spot in the reggae category.